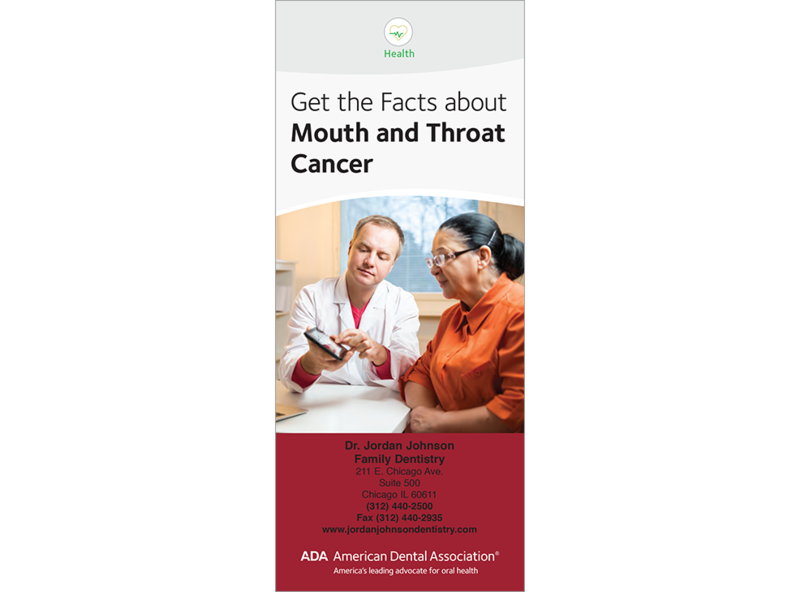 Give patients the facts on oral and throat cancer with this informative brochure. Revised to give the causes, signs, symptoms, and risk factors for both oral and pharyngeal cancer, along with the HPV connection. Plus a section on how patients can lower their risk and that the dentist checks for cancer at each visit . 6-panels. Minimum order 150. Click Add to Cart then personalize for free. Now you can add personalized information on the front, back, or both covers on all brochures.